Professor Regina Armstrong is an experienced criminal justice teacher and advisor. She taught as an adjunct instructor at Baker College, Westshore Community College and Ferris State University while working full-time in the prison system in Michigan. Prof. Armstrong worked at Lake County Sheriff Department prior to being hired as a training lieutenant at Michigan Youth Correctional Facility. She was promoted to first shift captain, chief of security (major), and acting deputy warden of security in the maximum security prison. Prof. Armstrong has received the Gorton and Peggy Riethmiller Award for excellence in advising. In addition, she has received the John J. Shipherd Award for outstanding service to students and the Donald Morris Award for being a student’s most influential professor. 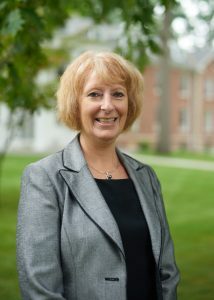 In recognition for her development of the Correctional Officer Academy held at Olivet College, Prof. Armstrong has also received the Esther Schweikert Masters Entrepreneurial Endowment Award. Prof. Armstrong has taught an array of courses in criminal justice, including criminal law, legal issues, criminology, probation/parole and client relations in corrections. She earned a bachelor’s degree in criminal justice and master’s in education from Ferris State University, as well as a doctorate in public service leadership with a specialization in criminal justice from Capella University.